Long-time Chan Centre audience favourites, the Kronos Quartet will give the world premiere performance* of String Quartet No. 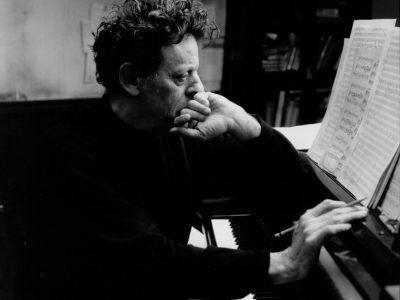 6 by pre-eminent composer Philip Glass. 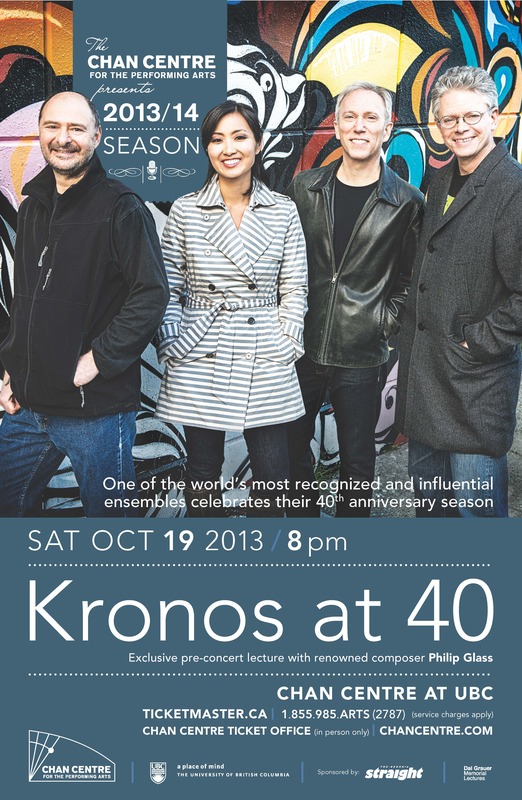 The new work is co-commissioned by the Chan Centre in the Faculty of Arts at UBC in honour of Kronos’ 40th anniversary season. 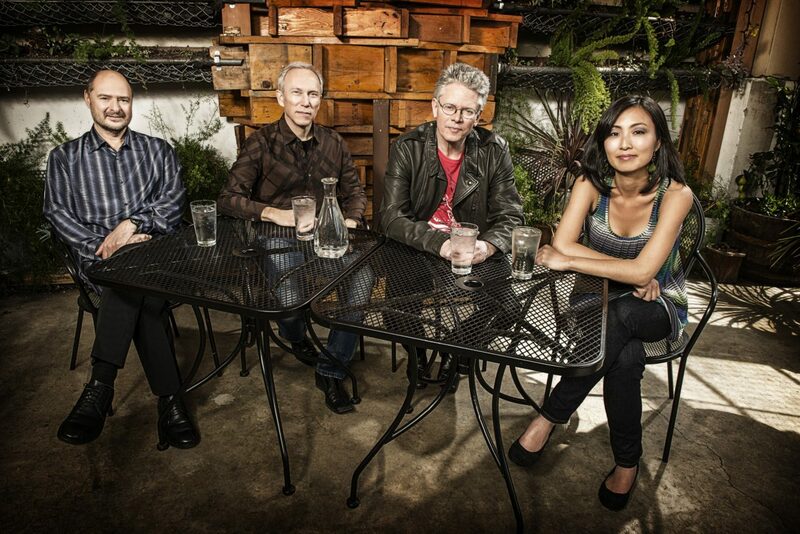 Four decades of experimental creation and performance have made the Kronos Quartet one of the most recognized and celebrated ensembles in the world. 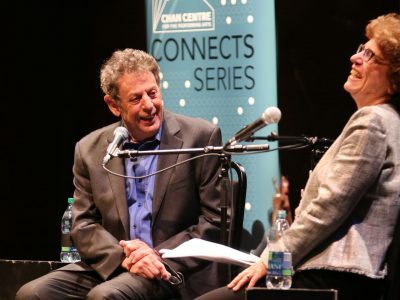 Their impressive list of accolades includes the Avery Fisher and Polar Music Prizes, as well as a GRAMMY award for Best Chamber Music Performance. 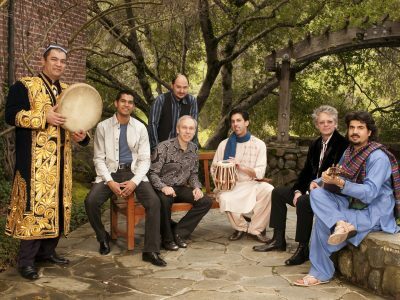 Their collaborators include iconic and diverse artists such as John Adams, Allen Ginsberg, David Bowie, Tanya Tagaq, Asha Bhosle, Wu Man, and Homayun Sakhi, who shared the Chan Centre stage with Kronos in 2011.